Stand out from the crowd with your own unique website sharing stories and content totally devoted to your property and getting it sold. 90% of buyers use the internet to search for homes. Of these, 76% drive by to view a home and 62% walk through a home they viewed online. Just 27% of home buyers look at newspaper adverts. In fact, 90% of consumers trust peer recommendations – only 14% trust advertisements. With social media now the #1 activity on the web, social media is social “word of mouth”. How effectively are you marketing your property online to match today’s increasingly online-savvy buyer? Emotion sells. 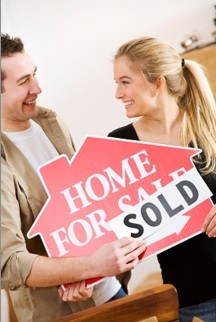 We are the experts in Social Property Selling to create that emotional connection between your property and your buyer. Maximise your online exposure today to secure the very best result for your property. Create a fabulous experience that paints the picture of what it is like to live in your home. Share why you loved to live in your home and why the next owner will love it too. By showcasing your home via emotive content (blog posts), not only are you prominently displaying all the benefits you enjoy by living in the home, you’re also adding an extra dimension to the way in which a buyer looking for a home to purchase in your area can find your home. An ideal tool to use when selling, we interview you then create the content (blog posts) for you. Afterall, we know you’re busy and it’s what we are good at. We share the benefits of your home, from the individual features that you love to all the amenities of the local area that are just so convenient for you (and your buyer). We then share each post extensively across our social media networks and those of your real estate agency (if that’s what you’d like). Buyers often don’t have the vision you have to fully appreciate your home just by searching online, without having first connected with their senses – to see, to feel, to smell, to touch a property. Remember, active buyers inspect just 10 homes – total. People often buy on emotion. It’s through the clever use of content, the written word, we create that connection – a powerful, emotional connection to engage a buyer and step them towards a buying decision. What we offer takes your marketing online to the next level. We help make your property stand out in the crowd. Afterall, your property is as unique as you are. Why not share that with the world? By creating emotive content website specificly tailored for your property, anyone searching online for a home to buy (which, by the way, is how most buyers look for real estate these days, when looking for find a new home) can find your property and immediately understand why you love it and how they can fall in love with it too. Instantly, share with each visitor just why your home should be their next home. Just as you have done, they can start to fall in love with your home, even before they’ve set foot in the door. Without even seeing your home first hand – yet – you’ve started to create a connection between your potential buyer and your home. Let Social Property Selling help create that connection with potential buyers for you. Click Here to Contact Us Today. Or call our office on +61 3 9686 2288 to speak to us about creating personalised emotive content for your home.